Thanks to the location of Woodvilla Lodge, you will be well placed to take day-trips in a number of different directions, taking in the best attractions Wexford has to offer along the way. You will be spoiled for choice with so many things to see and do in this area. Kilmore Quay is a picturesque fishing village. The main street is lined with traditional thatched houses. 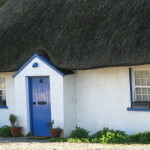 There are many other thatched houses peppered around the area also. The harbour is a hive of activity with boats landing their catch. (Look out for the playful seals in the harbour, hoping for a fish to come their way) Boat trips can take you to the magnificent Saltee Islands that lie offshore. Behind the pier is a promenade that leads you around to Forlorn Point and the Memorial Garden and on to Ballyteige Burrow. Johnstown Castle near Murrintown is a beautiful stately castle with landscaped gardens that also house an agricultural museum. At the weekend there is often a small market in the courtyard of the museum/coffee shop. The National Heritage Park will bring you back in time as far as the Stone Age with entertaining tour guides that will fill you in on our heritage. Moving into Wexford town, the old town offers plenty of charm whether its to learn of its Viking beginnings or to browse the boutiques along the narrow main street. The area from Bridgetown across to Rosslare is possibly one of the remotest parts of County Wexford. This in itself lends it its own charm. There are a few hidden gems that are worth a day out in this direction. 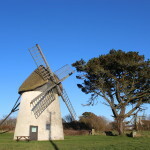 The windmill at Tacumshane is free to visit. Pop into Meyler’s Millhouse to get the key. (food and pint are good here too – it is very child-friendly) Travel onto Our lady’s Island. Pilgrims flock here in August each year for the annual pilgrimage. The lake is a sanctuary to bird life. Further on are the turbines at Carnsore Point. This site was once a proposed location for a nuclear power plant that was scrapped due to the force of public outcry against it. Carne is a pretty little harbour. The Lobster Pot is a renowned restaurant in this area. In Rosslare Harbour there is a small maritime museum. Rosslare strand resort is a bustling village during the summer. It also boasts a Blue flag Beach. A perfect spot on a sunny day for walking, playing in the sand with children or swimming. during the summer months it is manned by lifeguards. There are community tennis courts, a childrens playground and the renowned links course at Rosslare Golf Club. In nearby Tagoat, the I.O.A.C. provides plenty of outdoor adventure from high-ropes to kayaking. Please see website for details. There is so much to do in this area, you could visit every day. There are safaris around the peninsula, adventure activities for the brave, ghostly goings-on at Loftus Hall and the wondrous story of the oldest lighthouse in Europe at Hook Head. Even with so much activity happening in the area, there are also beautiful tranquil spots such as Tintern Abbey or Dunbrody Abbey. The maze at Dunbrody is great fun. The area in general is stunningly beautiful in all weathers. The story of the emigrants aboard the famine shops is brought to life by the crew at the Dunbrody Famine Ship. Across the road, the intricate Ros tapestries can be seen. Wexford’s newest attraction the Kennedy Homestead is a little outside the town. Enniscorthy is steeped in rebellion. 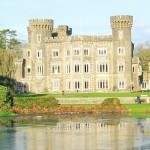 Whether it is 1798 or 1916, Enniscorthy has many tales to tell of battles won and lost. The famous designer Eileen Gray had Enniscorthy roots and some of her pieces are on display in the Castle in addition to many other interesting artefacts. Vinegar Hill was the site of the famous battle of 1798 and worth a visit if only for the breathtaking views of County Wexford. Likewise for nearby Oulart Hill.